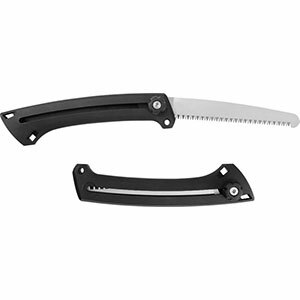 A lightweight folding saw great for backpacking, hiking, camping, or any other general outdoors use. 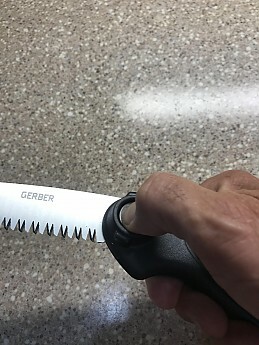 The saw is actually produced and manufactured by Fiskars— the guys who brought you child safe plastic scissors—but distributed and marketed through its sub-division company; Gerber. It's marketed as being a tough, durable, and lightweight piece of serious equipment for the serious outdoorsman. Unfortunately the only accurate description is the light weight. Otherwise this saw is very disappointing. It is very sharp, however the blades are too thin and flimsy to handle moderate use much less rugged use. While using the saw to cut a 1-inch diameter cedar limb, I was impressed at how sharp it is. But a larger limb proved to be the saws undoing. I noticed the thin blade would bend during use. Within the first 5 minutes of use, the blade actually broke in two. However the shorter blade was stiffer than it was in its original length. Unfortunately I now couldn't cut anything over a 1.5 inch diameter while using only short sawing strokes. I could have lived with the blade breaking, but the saw handle broke in two as well. In short, the saw fell apart with less than moderate use during a minimal period of time. I would not recommend this saw at all. 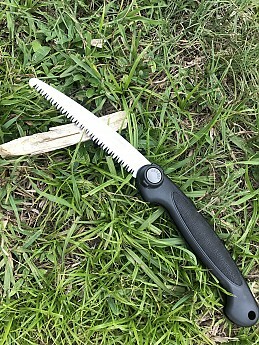 I instead have a Wal Mart folding saw that I purchased in the gardening section for $8 and it has held up to very heavy usage. 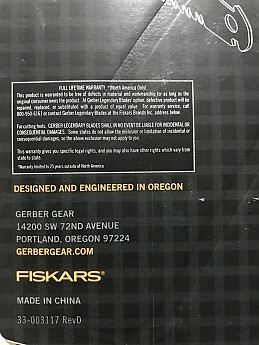 Sorry, Fiskars, but this product failed to live up to its marketing and my standards. I'm giving this product a 1.5 only because it was useful (albeit for a short time) after the blade broke. Accepting the Gerber Exchange-A-Blade Saw for what it is and what it is not, will help greatly when sizing up a cutting task. 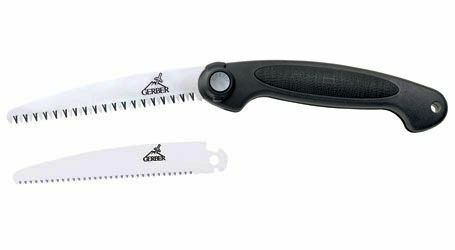 I've owned the Gerber Exchange-A-Blade folding saw for several years now. 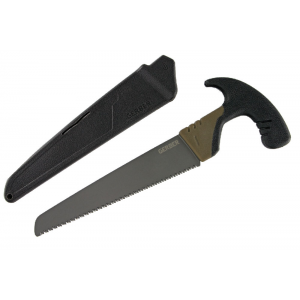 My folding saw came as part of a larger kit called the Gerber Off-Road Survival Kit 05635. Quite frankly, I take this kit with me every journey. Granted, car camping only and it stays in the vehicle. 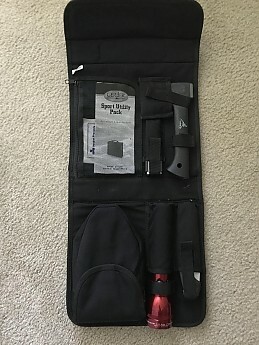 I received this pricey Gerber Off-Road Survival Kit as a Christmas gift from my son. 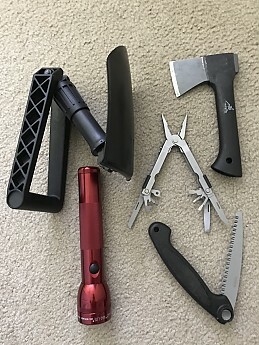 The only piece I've taken with me in my pack is the small, lightweight Backpaxe, which is the sharpest hatchet I've ever owned...but that's for another review. 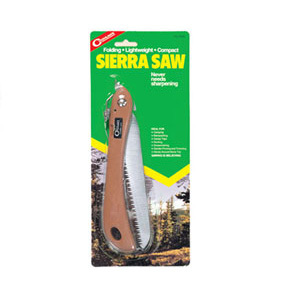 The Gerber Exchange-A-Blade folding saw is a featherweight, both in ounces and in duty. But being reminded of one thing alone, will keep things in perspective and minimize frustration. 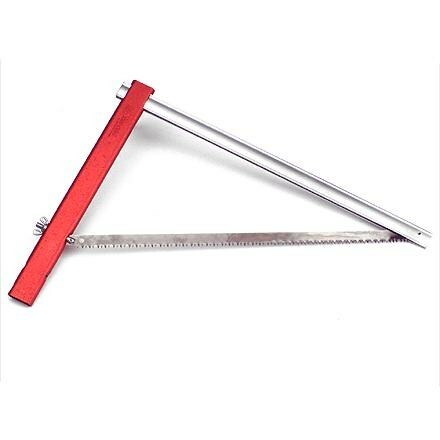 This is intended as a "draw" saw...e.g. drawing the saw blade across the wood surface, rather than a "push/draw" saw blade. I did not realize this at first, which resulted in snapping the blade in pieces on two separate occasions...causing unnecessary frustration. The blade is very thin, and not being supported on both ends it flexes. If you attempt to push the blade teeth into the wood, at some point the blade will snap catastrophically. 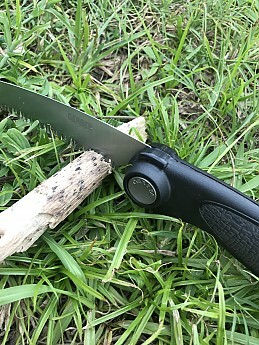 Using the tool as intended, the Gerber Saw will cut through branches (wet or dry)...just don't have lofty ambitions of slicing your way through a 6" log. 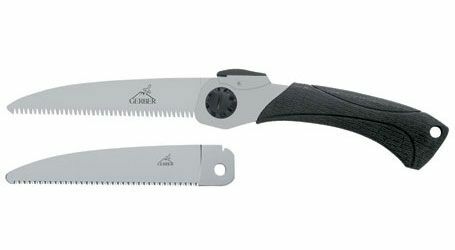 The Gerber Exchange-A-Blade folding saw is just over 14" long when extended, and close to 8" when folded. The handle is a rounded polymer with a partial rubber overmold grip inserts. Comfortable to the hand. To unfold and fold the saw blade, one must push the gray button at the front pivot point, as the blade locks in place both open and closed. Blade replacement is not difficult, but some care must be taken. After unscrewing the black knob opposite the gray push-button, you must separate the black polymer, allowing the broken blade to drop free. In the same way, you separate the two halves and slide the new blade in, then thread the black knob in snuggly (do not overtighten). Does care need to be taken? Yes and no. If you want to be "hamfisted," then yes, you will break blades and ultimately choose another solution (Exercise LNT and don't hurl it as far as you can into the woods). 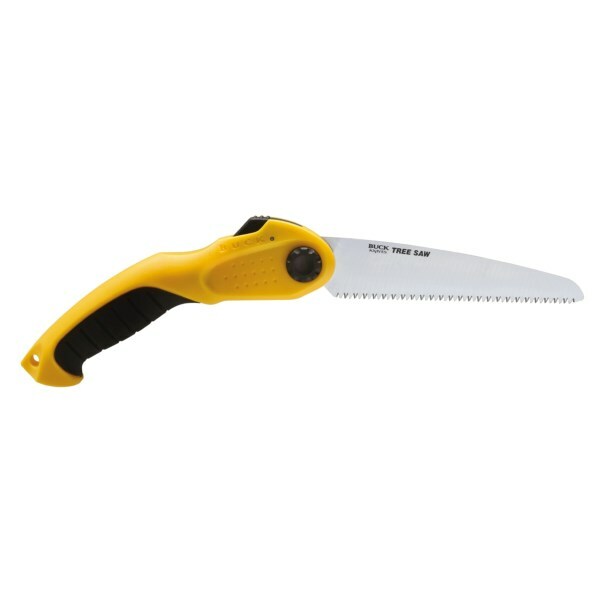 If you choose the Gerber Exchange-A-Blade folding saw for smaller applications, it will suit you fine. Draw smooth and straight without forceful pressure and this saw will endure. For larger camping/hiking cutting jobs, I always turn to my Sven Saw to bear the brunt of the heavy cutting. 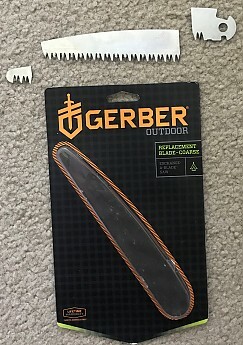 For small jobs or trimming (tree stand, countersniper hide, the perfect S'more stick etc), the Gerber is quick and easy. That said, I bought two additional Exchange-A-Blades for insurance. (A very popular big box lumber store has the blades for $3.19 on their website, delivered free to your local store.) 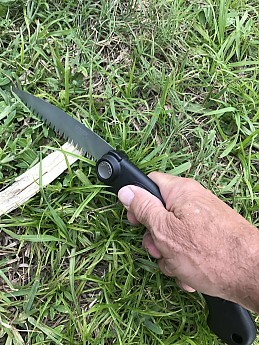 Overall, if you bought a Gerber Exchange-A-Blade folding saw or received one as a gift...it's a handy, easy, lightweight tool that should give you years of service if treated properly. 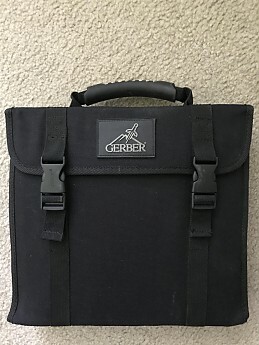 A major gripe...Gerber customer service never responded to my emails regarding the blade breakage and warranty replacement. If a company has great customer service, I sing their praises to all who will listen...but if I am disregarded or ignored by a company's customer service, I will take my business elsewhere and tell twice as many people. Sad too, because they tout a Full Lifetime Warranty. Handle started falling apart almost immediately. Lock button pops out of place. Piece of junk! Spend your money on something else. Handle started falling apart almost immediately. Didn't last an hour trimming less than 3-inch diameter branches. Lock button pops out of place. Piece of junk! Spend your money on something else. Welcome to Trailspace, Larry. Thanks for sharing your experience with this saw. Do you have any pictures you could share in your review to show how it came apart and failed on you?